Chambery is one of the key airports for visitors looking for strong connections to the extraordinary ski resorts of Switzerland and France. Based in the stunning Auvergne-Rhone-Alpes region of south-eastern France, it continues to be one of the top tourist spots for those who are looking to reach any of the leading villages in the area. Since 2016 Chambery Airport has had 2 million euros worth of renovation work completed including an enhances departure lounge, new signage throughout the terminal, more shops, re-organised security flow with increased queuing area, refurbished boarding lounge and refurbished toilets throughout the terminal. 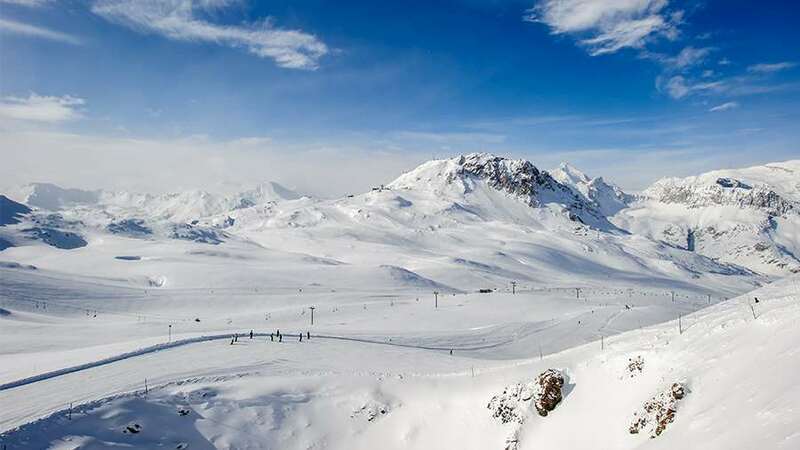 There is a wide selection of ski regions reachable from Chambery, including the Alpe d’Huez, Chamonix, La Plagne and Val d'Isère ski areas, which are all less than two and a half hours away by car. Chambery is the closer airport to the main ski areas in this region but often travellers prefer flying to and from Geneva as it is a much larger airport with much better facilities. Alpe d'Huez remains one of the top areas for visitors who are interested in a location with a wide variety of runs to suit all abilities. Rather than being primarily targeted to beginners, intermediates or experts, the region is full of slopes for all kinds of wintersports fans. Similarly, Chamonix and Megeve provide fantastic runs and a variety of amazing facilities for travellers to enjoy. With an efficient transport system guiding visitors to all of the top runs, it is easy to see why the airport is popular with skiers. Who flies to Chambery Airport? The airlines that fly to Chambery are Flybe, British Airways and Transavia. To make sure visitors are able to navigate the airport with ease, there are several facilities to provide peace of mind. Free Wi-Fi is available to help travellers reach their destination effectively and with minimal hassle. What’s more, there is a bureau de change area for those who need to change over money at the last minute. Car rental services are also provided at the airport for people looking to explore the local area by road. There is a gift store located on the ground floor of the terminal building where visitors can purchase souvenirs from the region, sweets and snacks. Once you are through security there is a duty-free store with a range of luxury and branded products. There isn't much more than the duty-free shop once you are past security so travellers are often told to stay in the main terminal until nearer boarding time. Due to the size of Chambery Airport, there are few options for visitors when it comes to eateries, but Le Restaurant De L’Aeroport makes up for the lack of choice with a wonderful menu. Based on the mezzanine of the airport overlooking the wonderful ski regions of the area, it’s a fantastic place to relax and grab a bite to eat. Alternatively there is a take-away shop located on the ground floor for a quick snack.